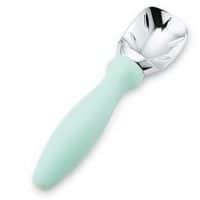 Ice cream is one of my all time favorite desserts! At any time if you peek in my freezer you’ll find a tub (or two), especially in the summertime when the temperatures can get miserably hot. Is there anything better than ice cream on a hot summer day? It’s the absolute best solution for cooling down! 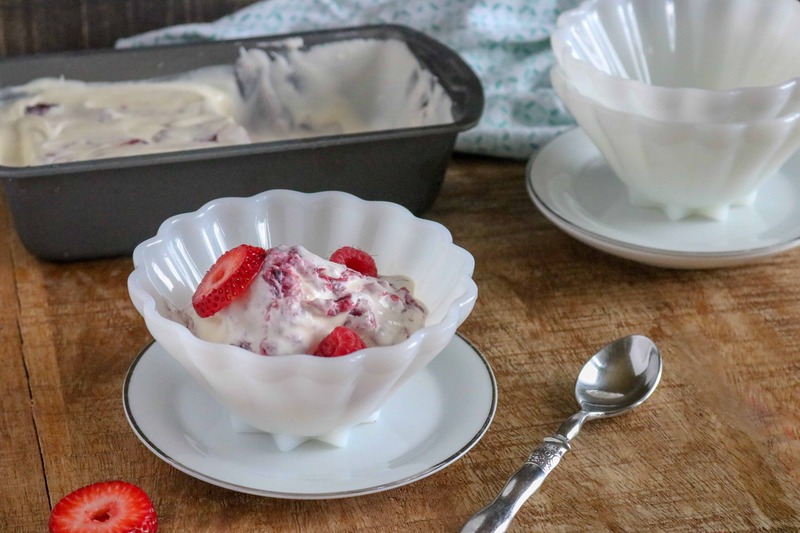 And this Berry Pie No-Churn Ice Cream is the perfect summer treat. So sweet and delicious you’ll be making this all summer long! 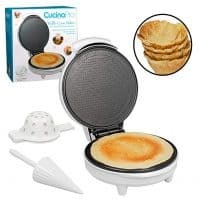 #1: The recipe is so versatile! You can add any flavor of pie filling or fruit to change the taste. You could even make the ice cream without the fruit and let everyone top it with their favorite ice cream toppings when it’s time to serve. #2: It’s quick and easy to make. 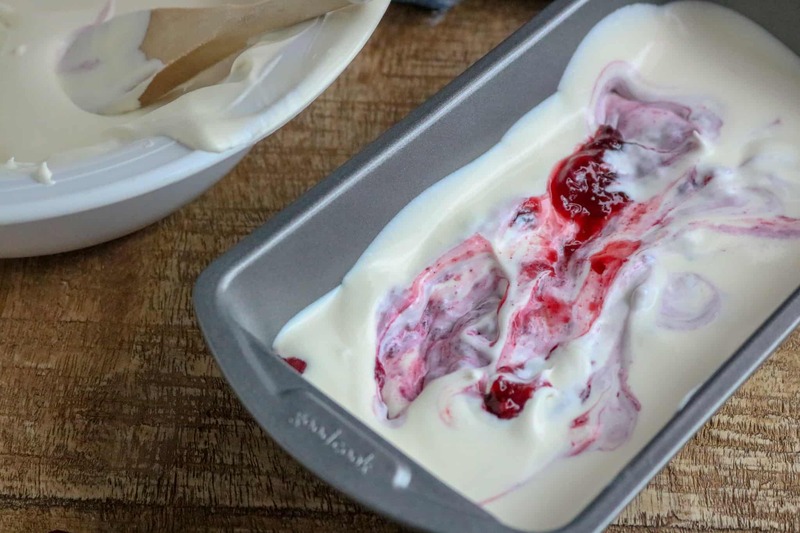 You’ll spend 10-15 minutes mixing all the ingredients together, then just set it in the fridge overnight to harden, and you have a yummy ice cream treat! 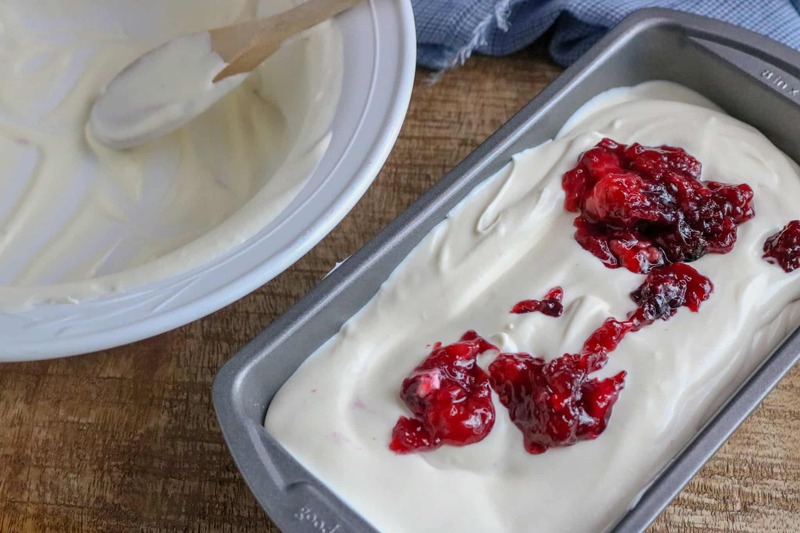 #3: This Berry Pie No-Churn Ice Cream pairs perfectly with any cake or pie, such as this moist and delicious Berries and Cream Sheet Cake. No-Churn simply means that you don’t need an ice cream machine or churn to make this recipe. Which is great, because how many of us have an ice cream maker lying around? 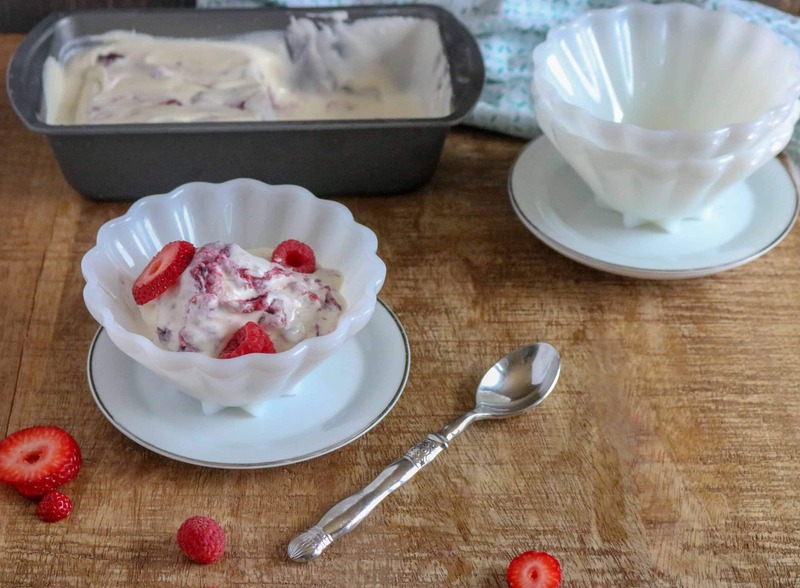 All the kitchen equipment you need for this yummy, ice cream recipe is already in your cabinets! Step #1: With a mixer, beat heavy whipping cream until thick. Fold a cup of it into a bowl with the sweetened condensed milk, add optional vanilla and mix until smooth. 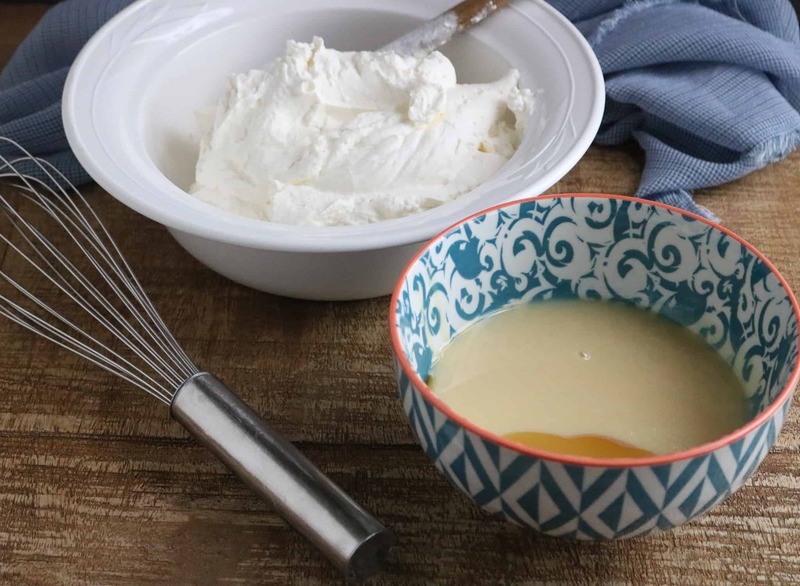 Step #2: Pour sweetened condensed milk/whipping cream mixture back into the bowl with the heavy whipping cream and fold together until smooth and creamy. Step #3: Next, pour half of the ice cream into a freezer safe container. Step #4: Add half of the berry pie filling and use a spoon or a knife to swirl the mix-in together with the ice cream (optional). Step #5: Top with remaining ice cream, and then top that with the remaining berry pie filling. Step #6: Freeze for 5-6 hours or overnight. When it is time to serve, remove from freezer and let sit on the counter to soften for 5-10 minutes prior to serving. Enjoy! No-Churn Salted Carmel Pecan Ice Cream– Sweet, salty, creamy and with just a hint of crunch from the pecans, this recipe is to die for! 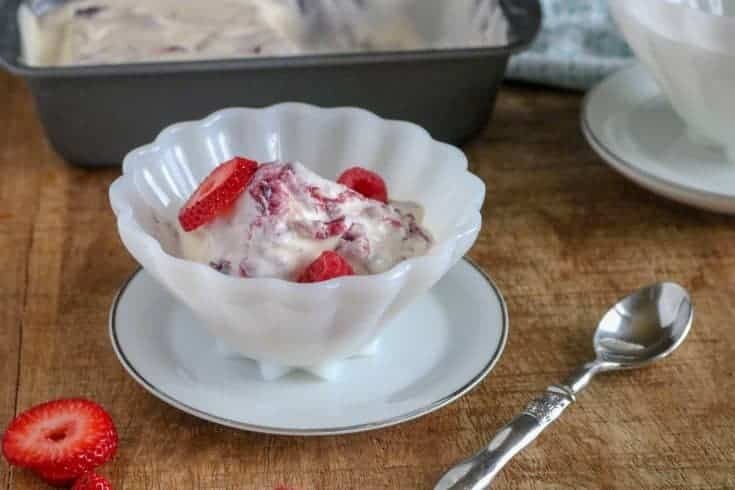 No-Churn Strawberry Ice Cream– This is the perfect recipe to incorporate those yummy, sweet, summer strawberries that are hitting the grocery store shelves. 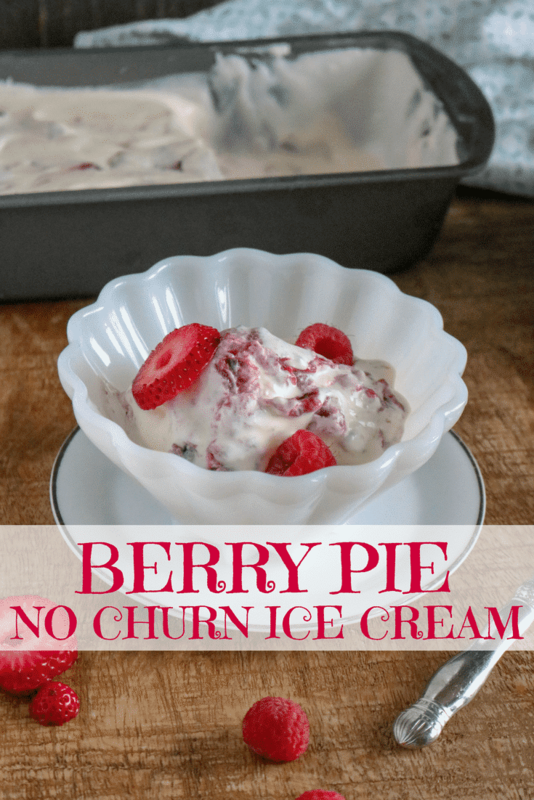 This berry pie flavored no-churn ice cream is delicious and easy to make. 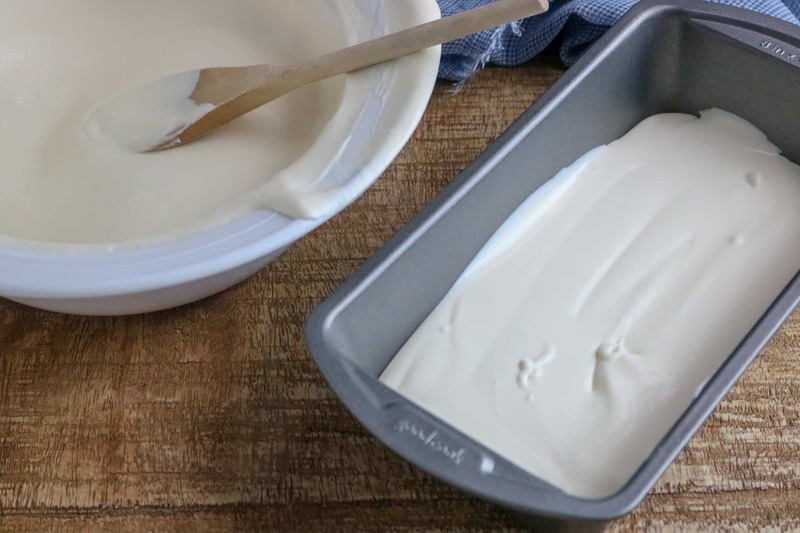 Fold a cup of it into a bowl with the sweetened condensed milk, add optional vanilla and mix until smooth. 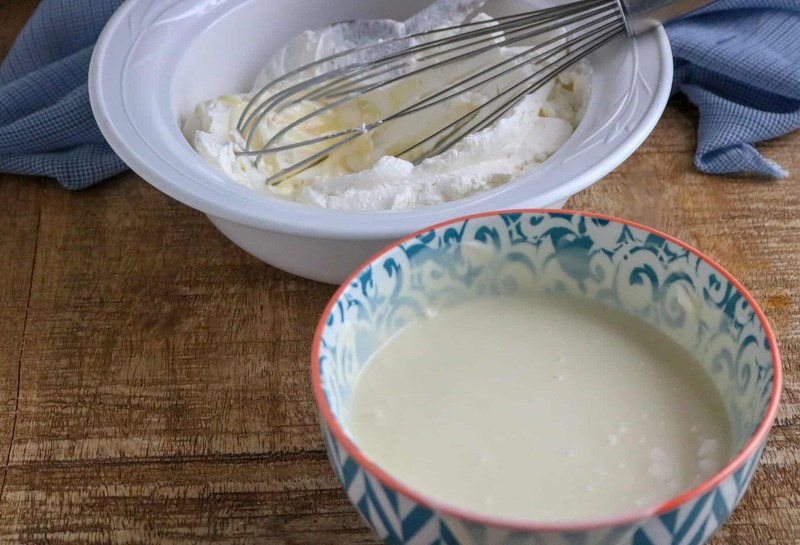 Pour sweetened condensed milk/whipping cream mixture back into the bowl with the heavy whipping cream and fold together until smooth and creamy. 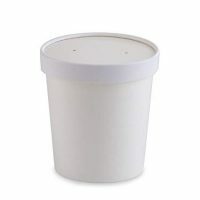 Next, pour half of the ice cream into a freezer safe container. Add half of the berry pie filling and use a spoon or a knife to swirl the mix-in together with the ice cream (optional). Top with remaining ice cream, and then top that with the remaining berry pie filling.